This is my 3rd challenge! Caramel sauce what I made as topping of cinnamon rolls a couple days ago was well done,so I had confidence,I made up my mind to make "Caramel roll cake" that I filed its recipe. 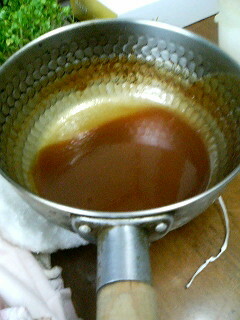 I started to make caramel sauce. According to the recipe,It said that you can heat it untill it become coloerd as you like ,but I didn't understand its degree! 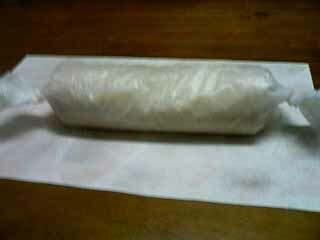 I wonder it was good like this,wasn't it? 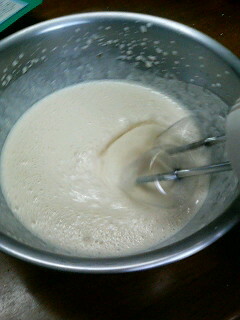 Next,I made whip cream including caramel sauce. It took long time to whip with caramel sauce! 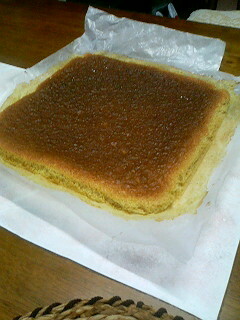 Then, I baked sponge cake with eggs,flour,salad oil,in addtion caramel sauce. It smelled good with caramel flavor while it was baked. 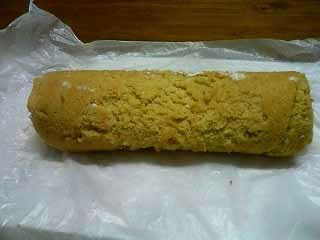 The state of the baked condition seemed to be "KASUTERA cake". 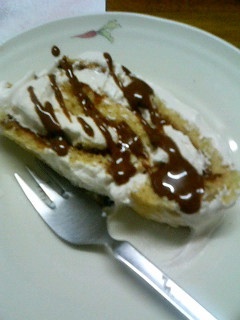 I spread whip cream which included caramel sauce over the sponge cake. 30minutes later,I took the cake out, and spread left whip cream over it. 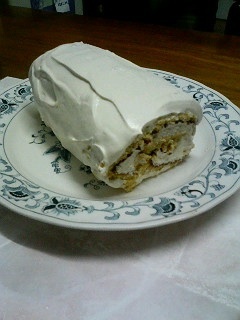 It was much difficult to spread whip cream over a roll cake than simple cake! 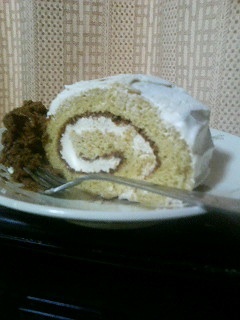 Even though,simple cake was difficult for me! 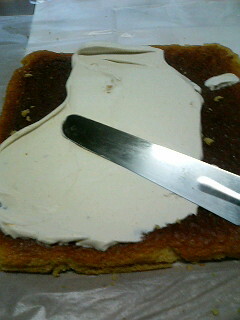 I cut it ,and took topping with caramel sauce which I heat furthermore,(actually,it became over cooked?) I tried to eat! I added left whip cream into caramel sauce, it turned to be like "Caramel ice cream" ←You may be surprised its deep color,but it was good unexpectedly!